Good health and its maintenance concerns most of us, although it seems women take the greatest interest. This was graphically highlighted in a recent survey of couples that found men took little or no responsibility at all for how healthy they were, leaving their diet and choice of food up to their partner. Amazingly more than half the men consulted their partner before having a drink and three quarters asked her before eating unhealthy food which would seem to indicate some awareness of the importance of good health but a preference for relying on their partner’s advice. So where do women go to build up that bank of knowledge they need to keep their family healthy. Well, family, magazines, friends, the web, but it seems the most influential are tv sitcoms and drama series where scriptwriters take on topical health issues, based on contemporary medical research and findings. And it would seem we take them seriously, rather than regarding them as fiction, thereby getting positive health messages across effectively. With the most popular TV drama series with powerful plotlines in the US off air during the summer EverydayHealth, one of the most comprehensive and accessible health websites we have found, looks at next season’s content and questions the general view of the unhealthiness of mindless tv soap addiction. 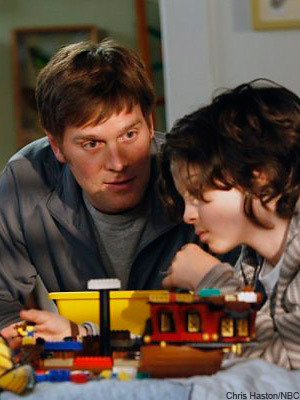 PARENTHOOD is an NBC drama with humour grounded by the difficulties of parenthood and the next series includes a father confronting his son’s emotional issues the son having been diagnosed with Asperger’s syndrome, a mild form of autism. By the way if you are interested in one of the most inspiring accounts we have read do have a look at Look Me in the Eye written by John Elder Robison. A compulsive read. 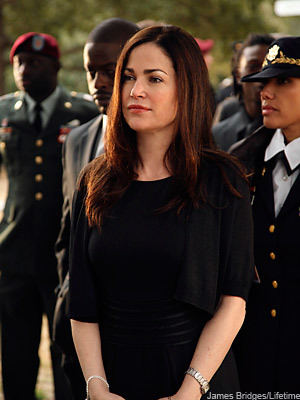 ARMY WIVES on ET on Lifetime, focusses on a very fit and seemingly healthy wife who receives a diagnosis of diabetes. This is particularly topical in the light of the huge increase of diabetes in the Western world. THE BIG C Showtime puts a young woman in the limelight, chronicling her way of dealing with a diagnosis of melanoma with just a year to live. Who hasn’t been touched by someone with cancer and wondering how they would cope with a similar diagnosis? 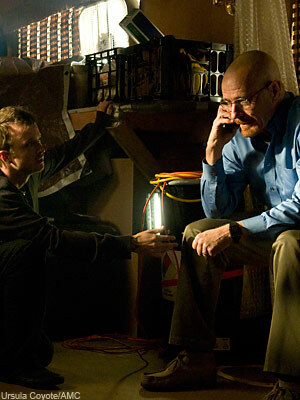 BREAKING BAD, an AMC drama, relating how a high school chemistry teacher reacts in an unconventional and fearless way to provide money for his family when he dies. A musical drama by Fox, GLEE, has two storylines, one that develops the character playing a student with Down Syndrome at McKinley High School, the other explores the mental illness of one of its teachers. Two storylines with strong human interest threads. This is the show that had Gwyneth Paltrow as a feisty teacher last season. UNITED STATES OF TARA, another Showtime drama, portrays a character with dissociative identity disorder (DID), once known as multiple personality disorder one of the lesser known afflictions .